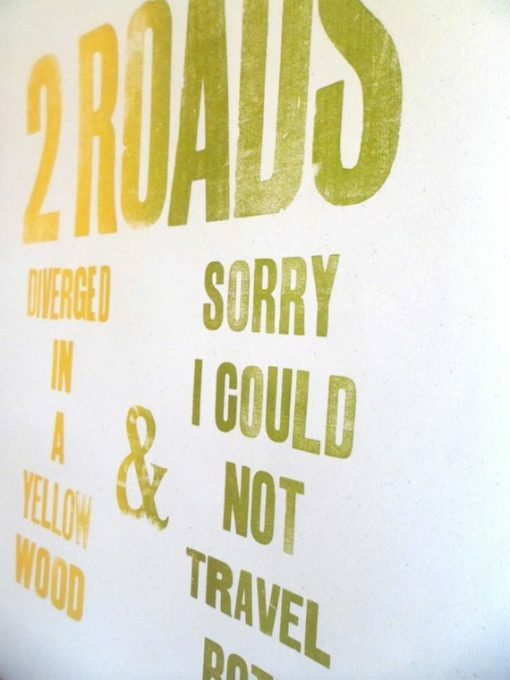 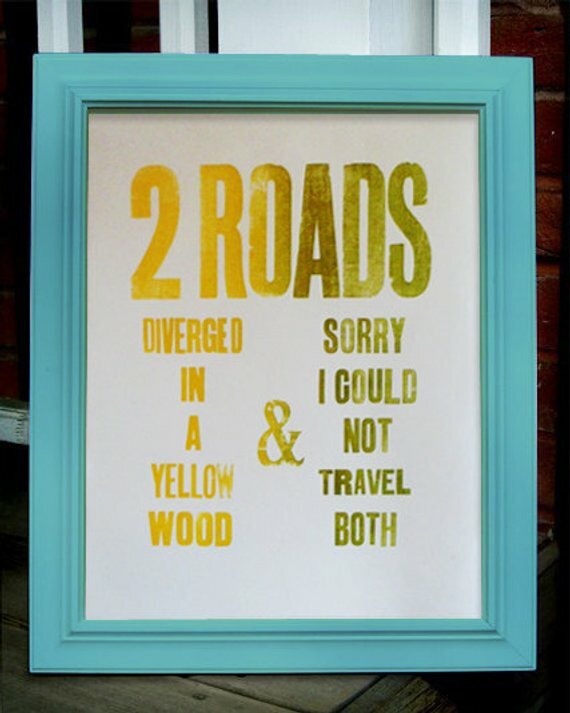 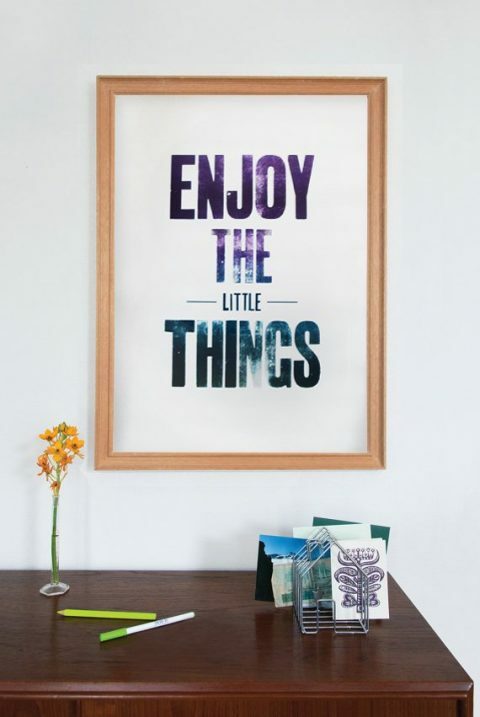 This letterpress poster is based on a poem I love by Robert Frost ‘The Road Not Taken’. 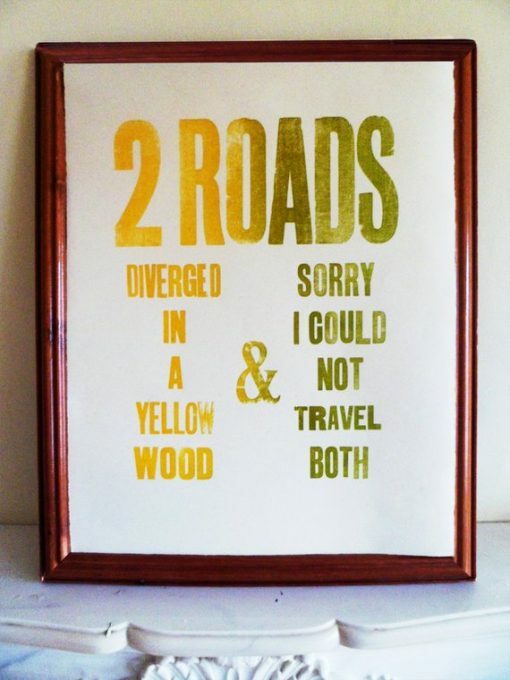 It is about choices in life and how sometimes we must choose one path whilst not always knowing at the time if it is the best one, it will later define who we are as a person. I like this poem as it is reflective and thought-provoking and connects with nature. 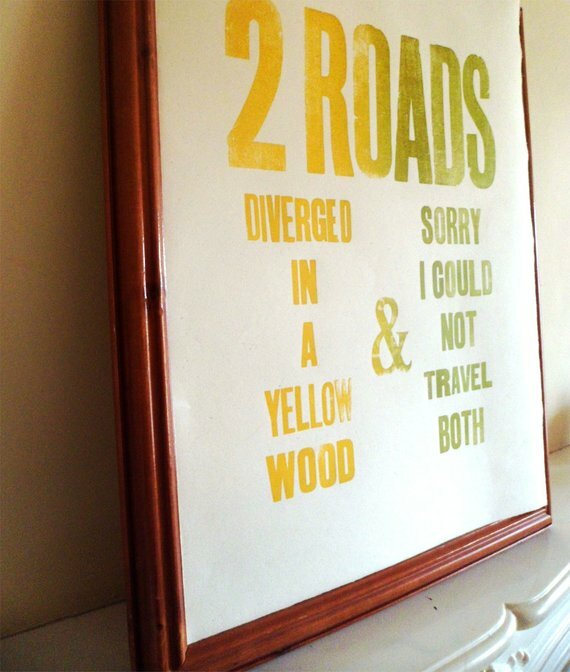 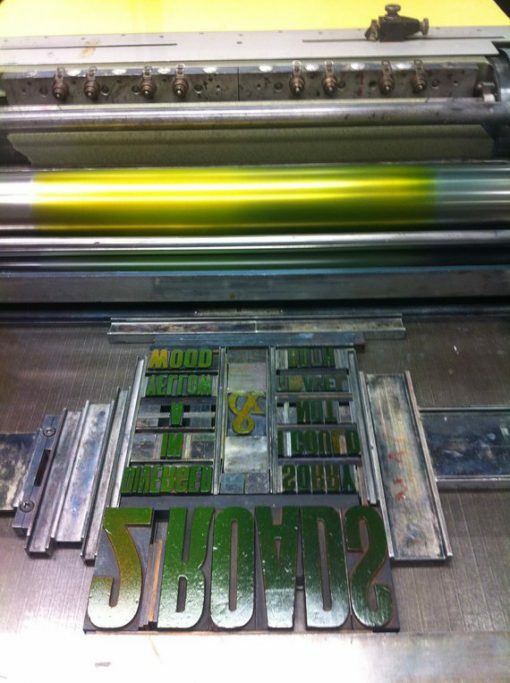 I chose the wooden type and earthy green and yellow colours to connect it to nature and it’s message. 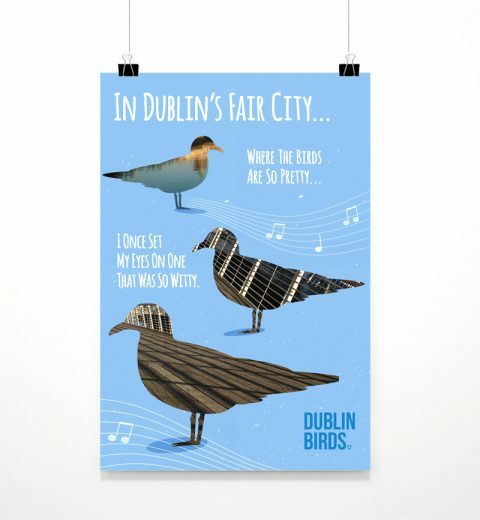 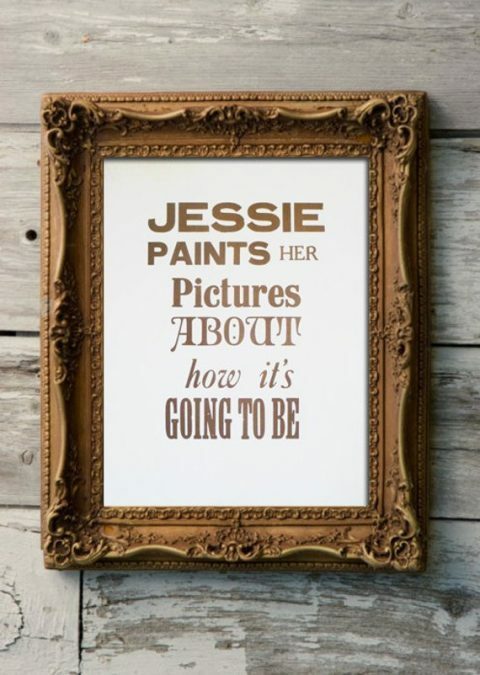 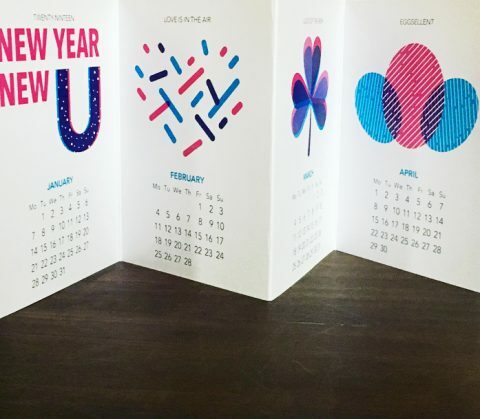 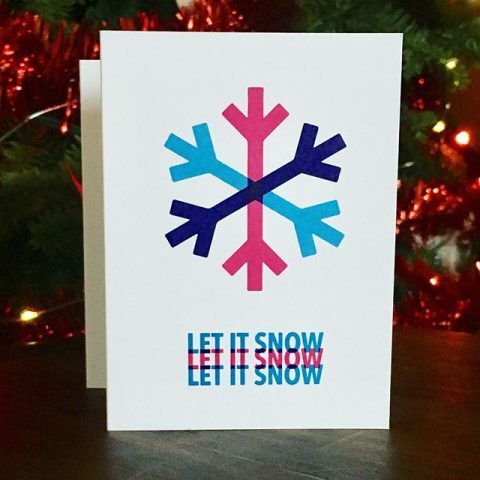 Created by enthusiastic & creative Irish graphic designer Clare Lynch (www.clarelynchcreative.com).